I have a polyline. I want to delete outside boundaries of that polyline. 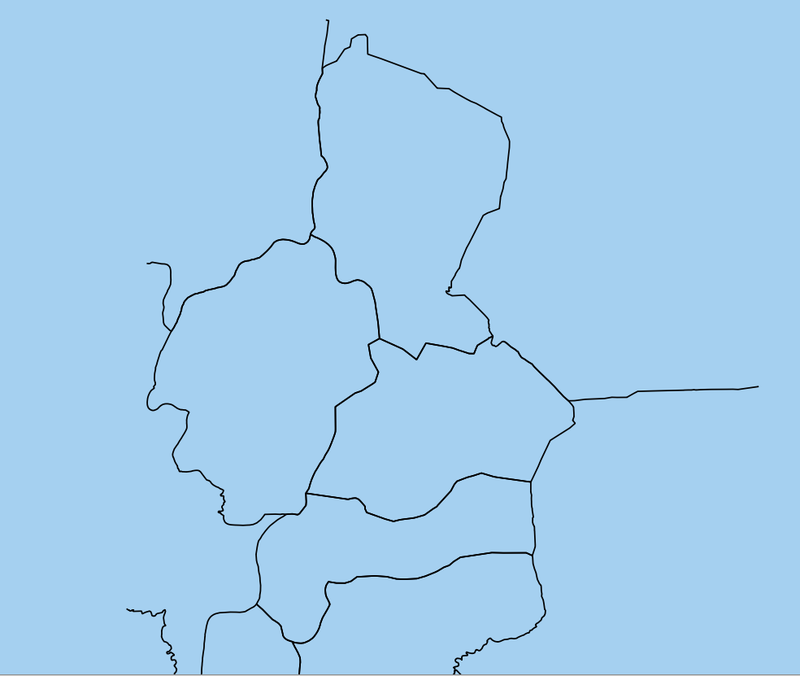 I achieved it by splitting the features of that polyline and selecting/deleting the outer lines/boundary. I'm thinking, is there a way to achieve this without the manual editing? The image below is BEFORE while the latter is the AFTER(what I want to achieve). Under SAGA | Vector polygon tools find the Shared polygon edges tool to create a layer containing polygon edges common to more than one polygon. The result should look something like my example (I symbolized points at each polyline start and endpoint) below. Bear in mind that in the case of two polygons sharing edges with a larger one, there needs to be a common vertex along the longer edge for this to work. 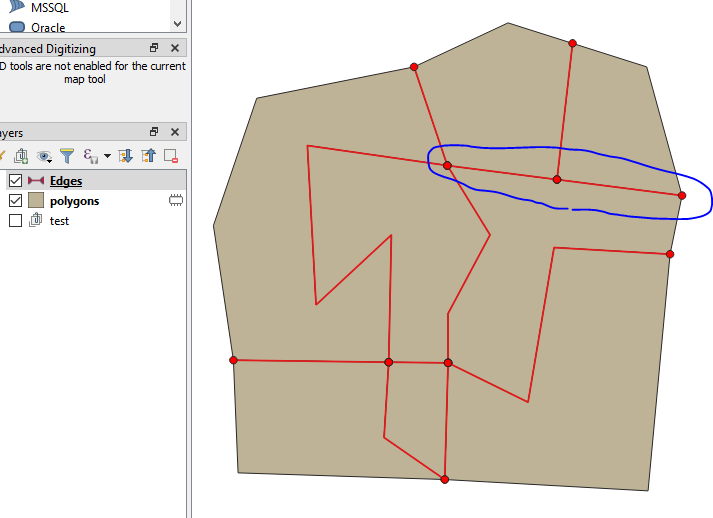 The one circled in blue is a straight line and a vertex needed to be added at the junction in the middle before running the Shared polygon edges tool. 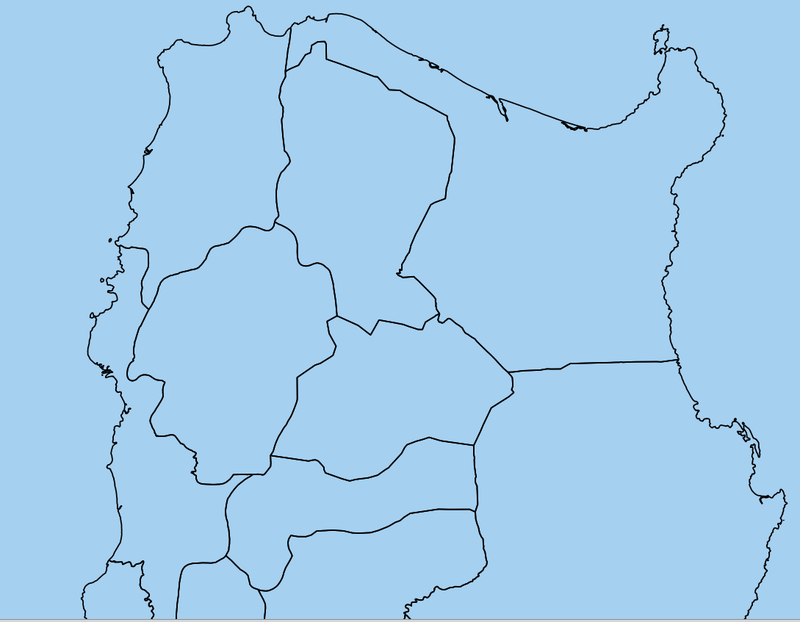 If I have understood correctly, you can select the outside polylines and then use the Erase tool (ArcGIS) / Difference tool (QGIS). Not the answer you're looking for? Browse other questions tagged qgis line geoprocessing qgis-2 or ask your own question. How to merge two lines of polygons? Creating an arc with set angle and range using QGIS?